In a candid interview with British newspaper The Telegraph, the fifth in line to the throne said the loss of his mother at such a young age had led to a period of "total chaos. ""I can safely say that losing my mum at the age of 12 and therefore shutting down all of my emotions for the last 20 years has had a quite serious effect on not only my personal life but also my work as well," he told The Telegraph in a podcast interview published Sunday. Prince Harry said he sought professional help at the age of 28 after enduring "two years of total chaos. I didn't know what was wrong with me." "My way of dealing with it was sticking my head in the sand. Refusing to ever think about my mum because why would that help? It's only going to make you sad. It's not going to bring her back," he said. The Princess of Wales died in a car crash in Paris on August 31, 1997. Her sudden death sent shock waves around the world and plunged Britain into a period of mourning. Known as the people's princess, Diana married Prince Charles in a lavish ceremony at St. Paul's Cathedral in London in 1981. 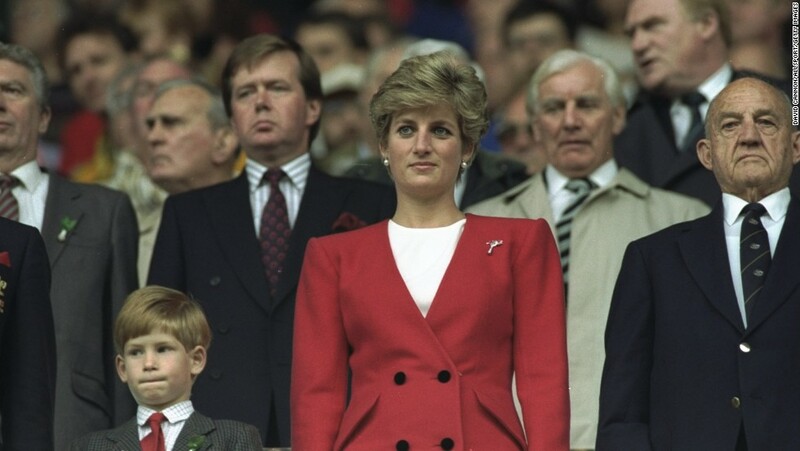 She gave birth to son William in 1982, and his brother Harry in 1984. The younger Prince has at times struggled with the press attention. Five years after his mother's death, at the age of 16, his father sent him to a drug rehab center for a day after he confessed to heavy drinking and using marijuana. He later had a successful career in the British Army before leaving in July 2015. Prince Harry told the Telegraph that he pushed aside his emotions for years before realizing that they had to be confronted. "From an emotional side, I was like 'right, don't ever let your emotions be part of anything.' So, I was a typical sort of 20-, 25-, 28-year-old running around going 'life is great, or life is fine,'" he continued. "Then I started to have a few conversations and then, all of a sudden, all of this grief that I'd never processed came to the forefront. I was like, 'there's actually a lot of stuff here I need to deal with.'" Prince Harry did the interview to promote his mental health charity, Heads Together, and encourage people to be more open with their personal feelings and struggles. He described how his brother, the Duke of Cambridge, Prince William, urged him to seek professional help. He said the pressure of being in the public eye caused him to be "very close to a complete breakdown on numerous occasions." Now, because of the "process I have been through," Prince Harry said he feels he's in "a good place." Britain's Prince Harry has revealed that he sought counseling four years ago to deal with the grief of losing his mother, Princess Diana, CNN reports.